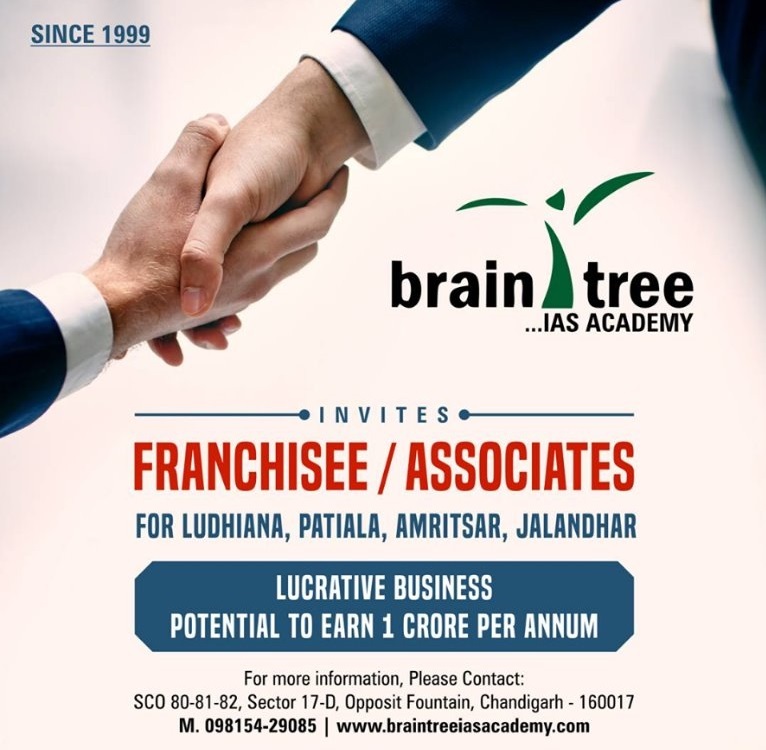 JOIN HANDS WITH INDIA’S FASTEST GROWING FRANCHISE Braintree IAS Academy WITH 5 SUCCESSFUL Branches north india. Around 1,200 franchisee owners in the country, having more than 1, 00,000 franchisees across the country. Education is the second largest household expenditure after food. Brain Tree provides a two way communication platform through its cutting edge technology which is a customized project undertaken in 2011. A high level team of engineers/coding professionals was formed to provide civil services classes to students sitting in different look and corner of the country. First pilot centre was set up in Chandigarh and within first year almost 100 students tasted this success mantra. There was no looking back and Brain Tree team added new centres at the time when franchising in Education had taken a dip. Brain Tree Team added centres without advertising the favorite Tagline “ Franchise enquirers solicited”.